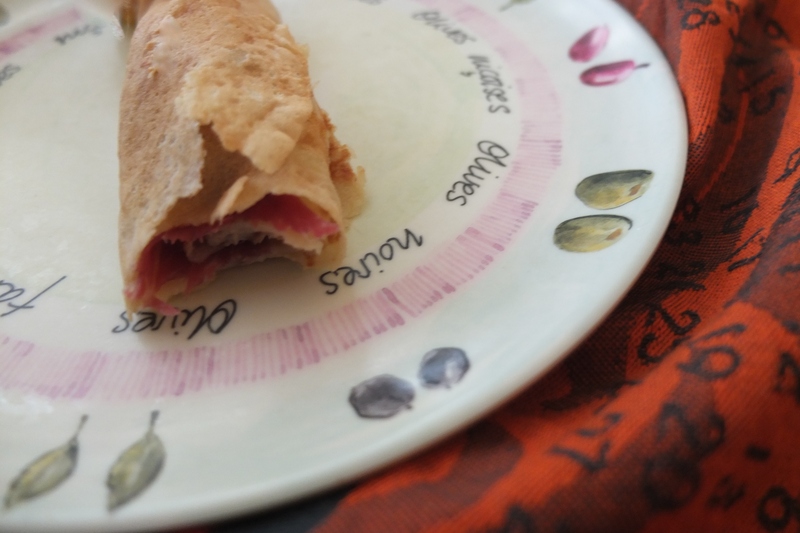 Spelt crêpes recipe and some pancake humour! Whisk the flour, salt and Stevia together. Make a well in the dry ingredients and pour in the egg and a little of the oatmilk. 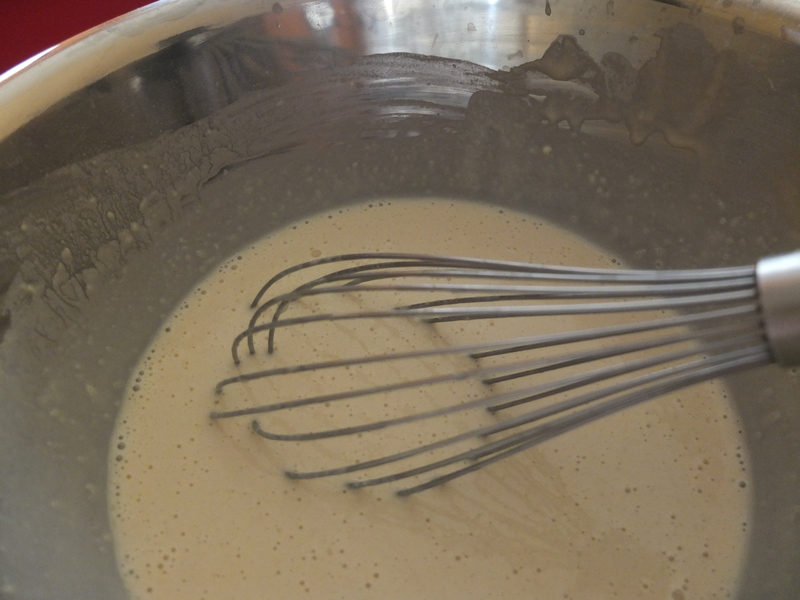 Whisk from the middle outwards to blend the flour in gradually. Then add the rest of the oatmilk and the yoghurt, and whisk till smooth. Finally, add the hot melted butter and whisk. 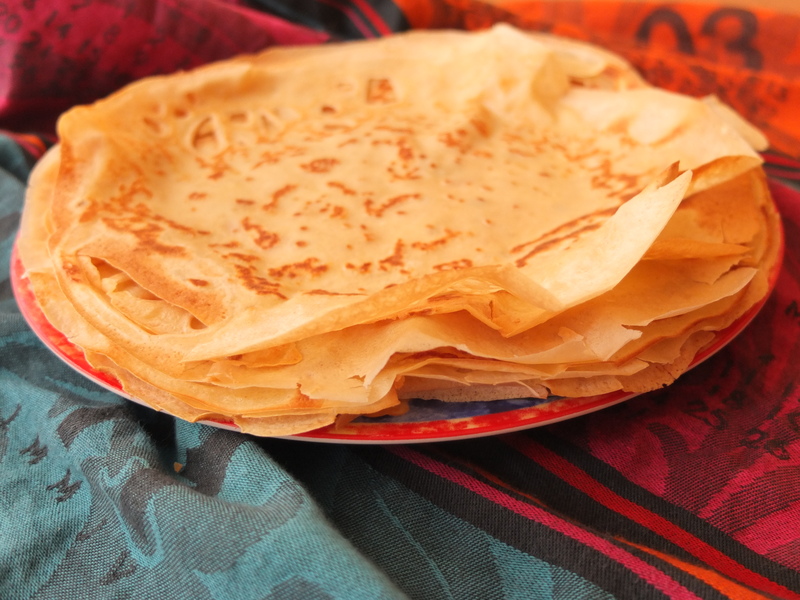 Let the batter have a little rest in the fridge for 30 minutes. If it’s a bit thick when it comes out, stir in a little more milk. 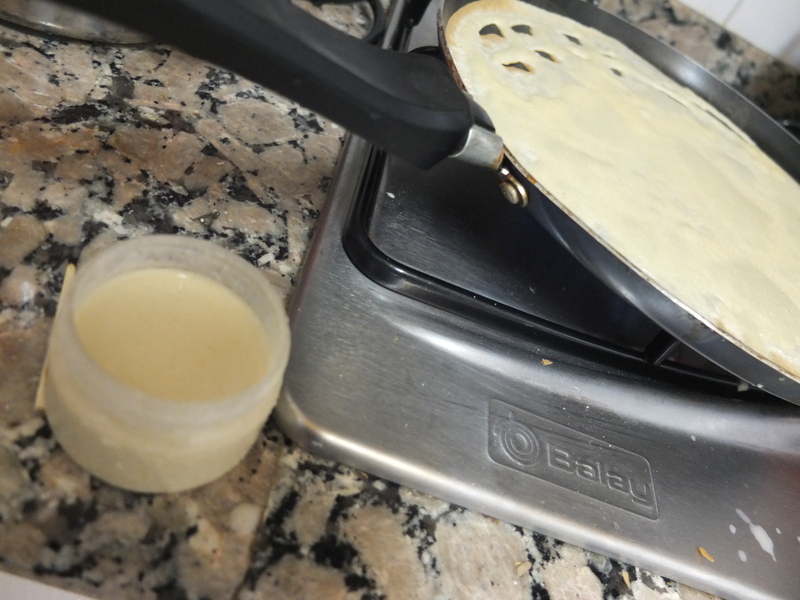 Grease your non-stick pancake pan with butter and take off the excess with kitchen paper. 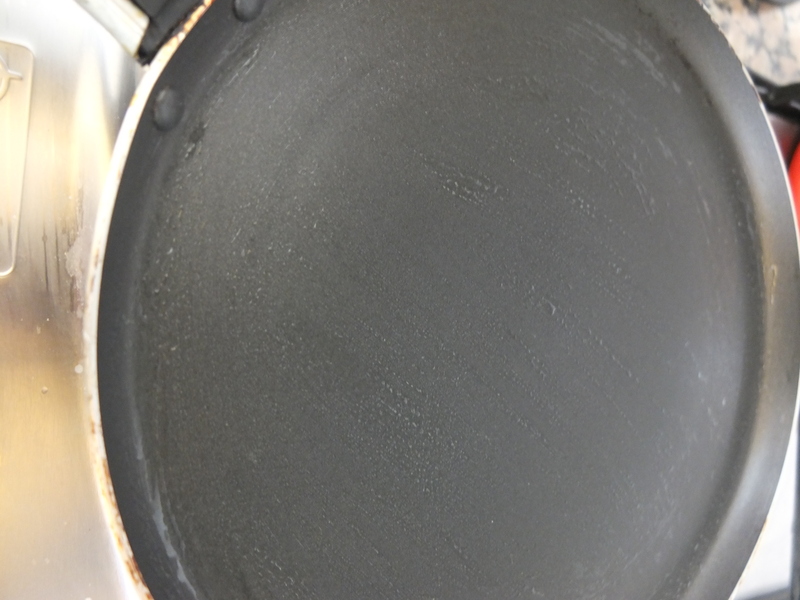 Put the pan on medium heat and when it is hot add a little ladle or pot of batter. 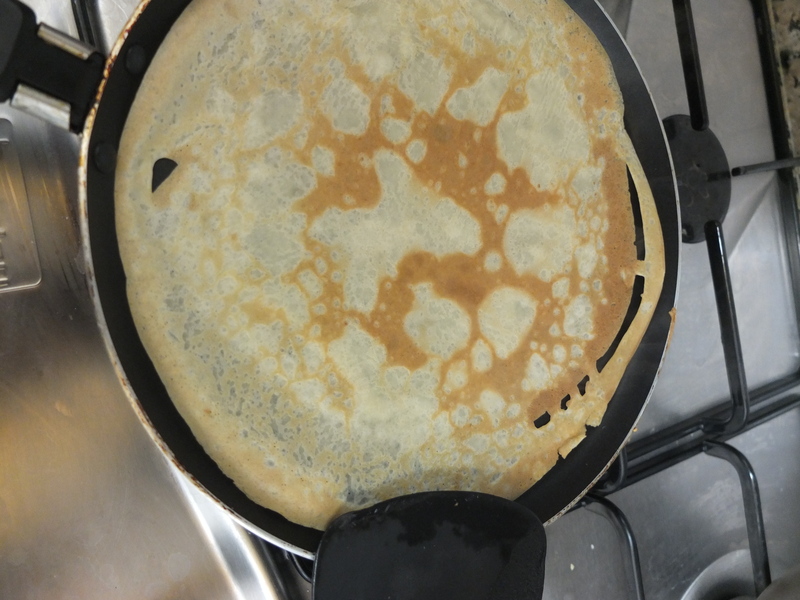 Swirl the pan around to spread the batter all around the base. Tip: have a small container with the exact amount you need (through trial and error) and this really helps you get even pancakes, all of the same size. 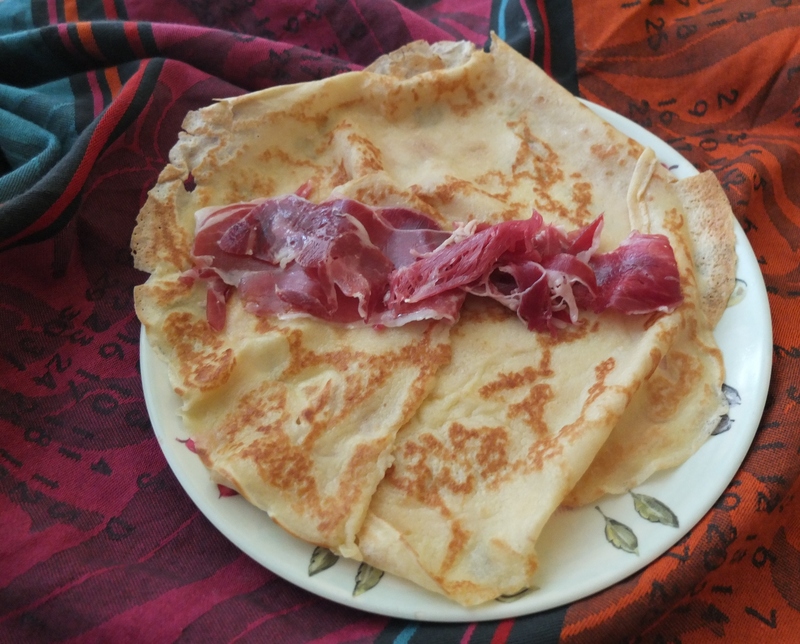 After a few minutes, if the bottom has browned and cooked enough, flip your little crêpe and cook the other side. Oven Baked Syrniki. 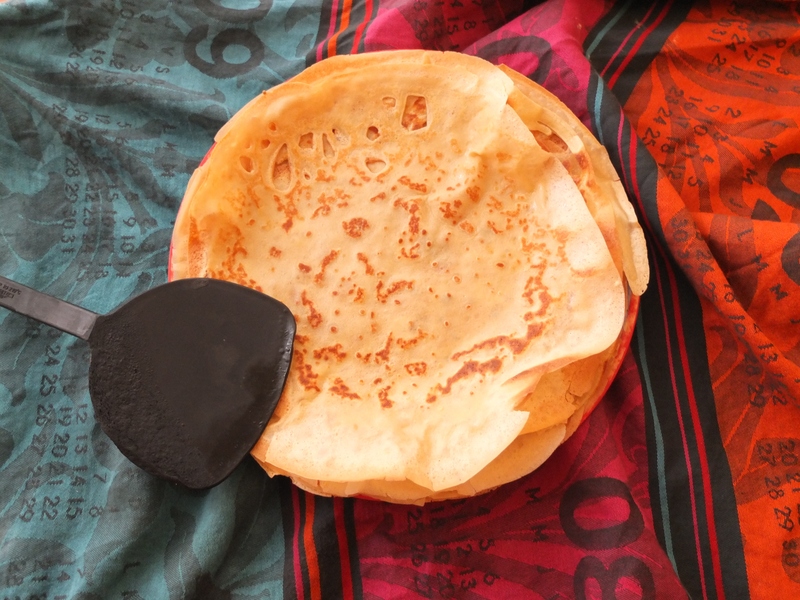 Ahjus küps… on Estonian Cuisine. Eesti Toit.